With kindness, Hill Country Health and Wellness Center works in partnership with our patients and community, providing to everyone the health care services, education and support needed to live whole, healthy and satisfying lives. Hill Country Health and Wellness Center inspires health and wellness in all areas of life so that we may learn to heal ourselves and our communities through the choices we make every day. We hold ourselves to a high standard of ethics, quality, and honesty. We recognize suffering and respond with warmth and caring. We genuinely want to help and will go the extra mile. We believe each person deserves respect and conscientious care. We offer hope and inspire confidence. We care for our environment so that our environment will take care of us. We assure the careful and responsible management of our assets. In the winter of 1982, four friends got together to talk about the need for a health clinic in the mountain country east of the city of Redding, California: Lynn Dorroh, Joe Stenger, Kathleen Hardie, and her brother Richard Hardie. Joe was graduating from his residency program in Family Practice from the U.C. 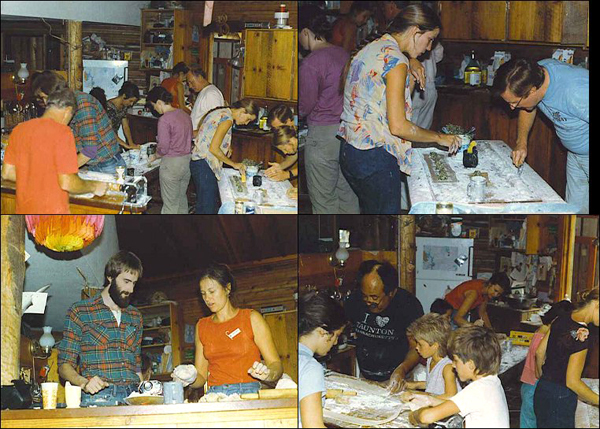 Davis residency program, and he was willing to help establish a small health clinic in this remote rural area. Several small towns comprised the service area, including Round Mountain, Montgomery Creek, Oak Run, and Big Bend. Lynn lived in Big Bend, while Joe, Kathleen, and Richard lived west of Redding. The most convenient location, and the closest to Redding, was Round Mountain, and a local resident generously offered to donate two acres. When Hill Country opened our doors in 1985, we had on staff a doctor, a nurse practitioner, an R.N., and three other employees who worked in various capacities in administration, reception, accounting, and medical assisting. The clinic had three exam rooms, one of which served as the emergency room. At first, everyone worked for free, including Joe. The first check received was from MediCal for twenty-three cents. But within a few months, the clinic was able to start paying everyone five dollars an hour. Hill Country held fundraisers to keep the doors open during those early days. In addition to the ravioli dinners, we sold Hill Country T shirts, held a Walk-a-Thon and offered corn on the cob at one of the Round Mountain fairs. We also received in-kind donations from their patients and supporters, one of the most memorable gifts some bear haunches from a bear hunter. By the end of the first year of operation, money was coming in steadily and wages were raised. Hill Country took care of rattlesnake bites, chain saw cuts, and ATV accidents, in addition to tending to daily types of care. Eventually, extra rooms were added to the double wide in order to accommodate dental care, and counseling began to be offered as well. Arrangements were made with the Redding U.C. Davis residency program to have residents rotate through the clinic during their training, and one of the residents, Jay Roitman, became a permanent staff member. Joe moved to Massachusetts in 1991 to work for the University of Massachusetts Family Practice Residency program, and Jay became the medical director for the clinic. 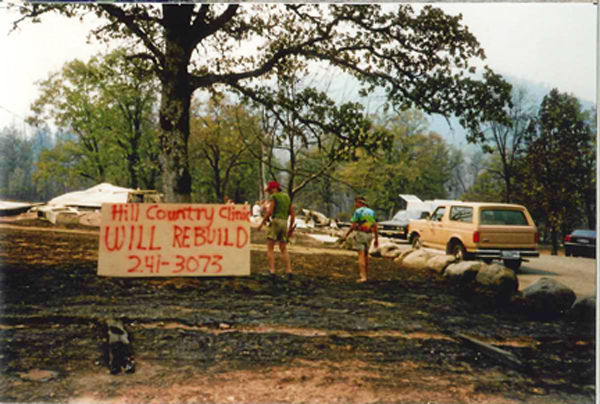 The following year, 1992, an arsonist set a fire in the rugged country west of the clinic, where the vast forests that covered the area were parched after several years of drought. The fire blew up with terrifying speed. When it became clear that the clinic was threatened by the wildfire, staff began frantically taking charts and other important files to their cars while ashes sifted down around them. When they had no more time to spare, they grabbed the oxygen tanks and peeled out of the parking lot with the fire bearing down on them. Those who evacuated to the town of Burney, twenty miles to the east, soon had to evacuate from there as the fire gobbled up miles and miles of forest. Days later, when the fire had passed and staff were able to drive in and assess the damage, they found the clinic burned to the ground. Undaunted, Hill Country set up a temporary headquarters in a spare room donated by one of the staff until we found a temporary office. While ensuring that patients’ prescriptions were filled in a timely fashion, we set about rebuilding the clinic. Many staff members, most notably Ray Hamby, CEO/CFO, worked tirelessly to get a new clinic built. With local volunteer effort and donations, county, state, and federal help, the clinic reopened its doors for business a scant six months later. An expansion of the clinic was undertaken during the tenure of CEO/CFO Ray Hamby. Near the end of his term, it became clear that the clinic would need to become a Federally Qualified Health Center (FQHC) in order to have enough funds to continue to serve all patients, regardless of ability to pay. In 2004, Lynn Dorroh became CEO and under her direction, Hill Country obtained FQHC status. Richard Hardie came back on board as CFO in 2005. Hill Country continued to grow, thanks to an excellent, responsive staff and devoted commitment to the communities that surrounded it, and in 2009, an even larger expansion was undertaken. With the help of a state bond, a grant from the McConnell Foundation, as well as generous donations from numerous supporters of the clinic, a new wing was built. 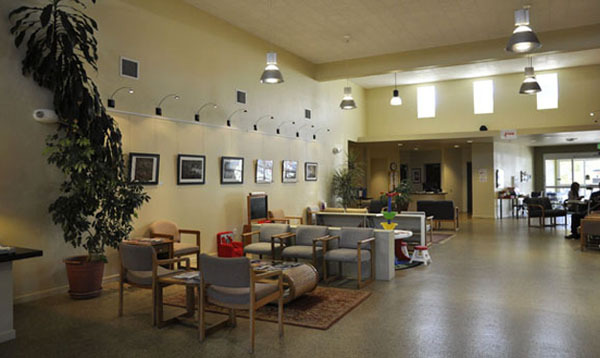 It housed the dental department, behavioral health department, great room for community activities, library, and small kitchen for special events and occasional nutrition-grant-funded lunch café. The award-winning architecture firm, Trilogy Architecture, designed the expansion which one visiting funder compared to a performing arts center and whose attention to environmental sustainability earned it a Gold LEED Certification for excellence in environmental design. Nontoxic paint, recycled flooring materials, a vast solar array, and a rainwater catchment system for the xeriscaped landscaping were all built into the new Hill Country. We believe that health derives from many factors, including healthful, harmonious surroundings, a robust, connected community, and genuine caring, in addition to top notch medical, dental, and behavioral health practices. At this time, Hill Country Community Clinic changed its name to Hill Country Health and Wellness Center to emphasize our commitment to holistic care and attention to health, not just disease. Today, Hill Country continues to lead the way in providing outstanding 21st century care. In 2014, it was designated a Level Three Patient-Centered Medical Home by the National Committee for Quality Assurance. According to NCQA President Margaret E. O’Kane, “The NCQA Patient-Centered Medical Home is a model of 21st century primary care that combines access, teamwork and technology to deliver quality care and improve health.” On June 2, 2015, Hill Country opened a satellite medical clinic in Redding on Lake Blvd., and a few months later added a space in the building behind it, at 351 Northpoint, to offer Behavioral Health and Chiropractic services. 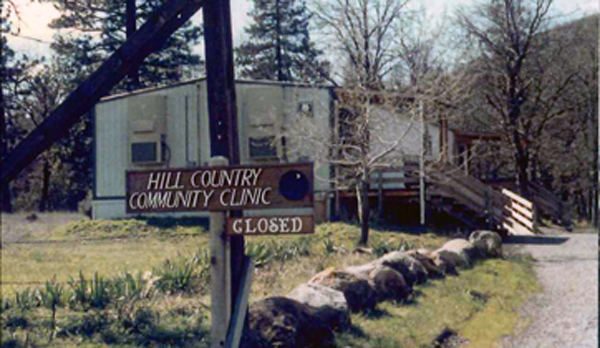 Starting from nothing in 1982, Hill Country, “the little clinic that could,” has come a long way. Hill Country Community Clinic provided great patient care as well as customer service for my child. Their caregivers really cared about my child's well-being and displayed it on a daily basis. Hill Country Community Clinic made me feel right at home. The staff was super friendly and they really took the time to understand and listen. So glad I found them! I receive nothing but quality care every time I visit HCCC. I would recommend them to anyone looking for a health and wellness center to take care of their needs.